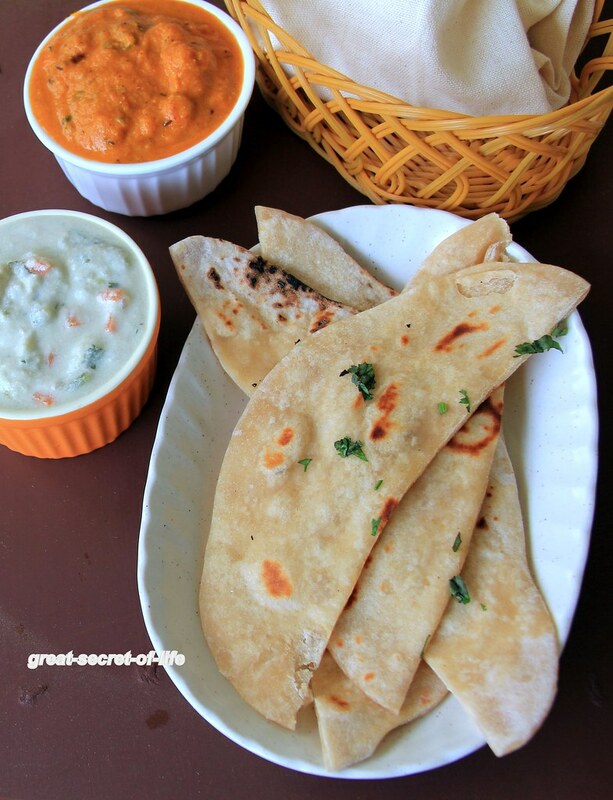 My son loves all types of Naan. 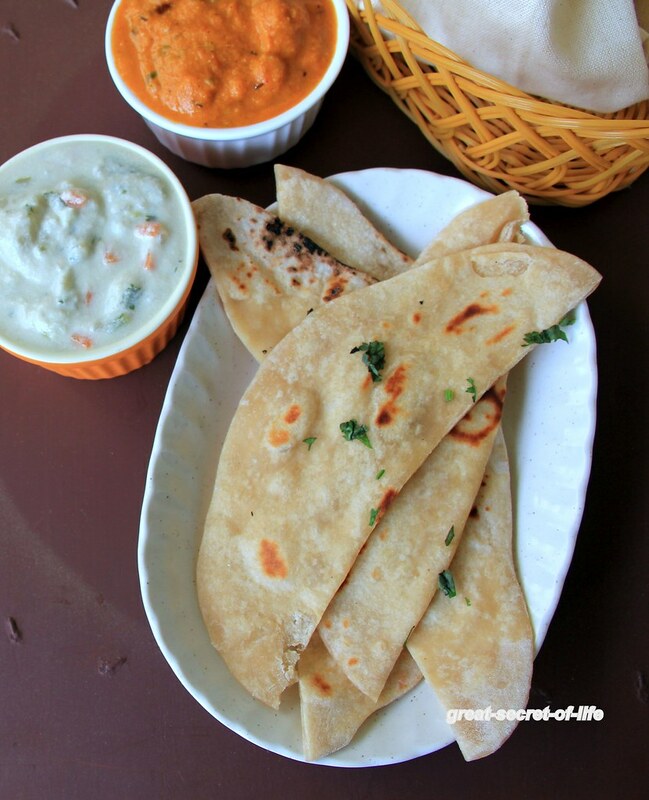 I always make naan without yeast. 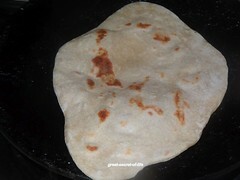 I wanted to try whole wheat naan instead of using all purpose flour or maida. 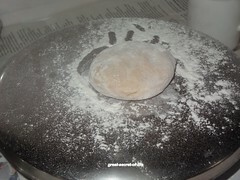 When I tried with complete whole wheat it tasted more like Tandoori roti. 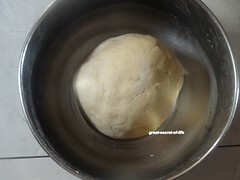 So I decided to try out with half half. My son told me this one is not that bad. 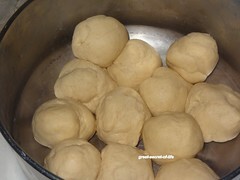 It is almost close to the original recipe.. You can adjust the wheat flour as per your preference. 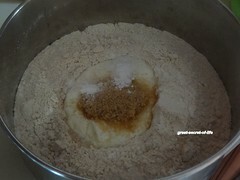 You can even do complete wheat flour too. 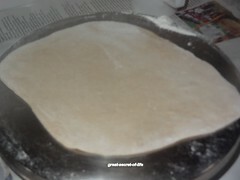 now pull the ends to get the naan shape. 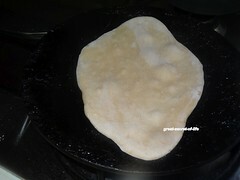 Heat the flat pan / tawa with handle. 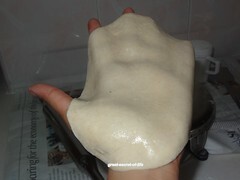 Apply water on one side of the Naan (other side to garlic one) by wetting your hands. 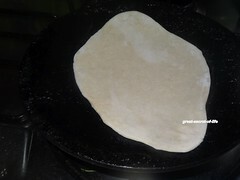 When the Pan is hot put Naan on the tawa with watered side touching the pan. 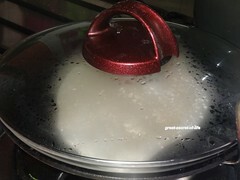 Close the pan with lid and cook for 45 sec in medium flame. 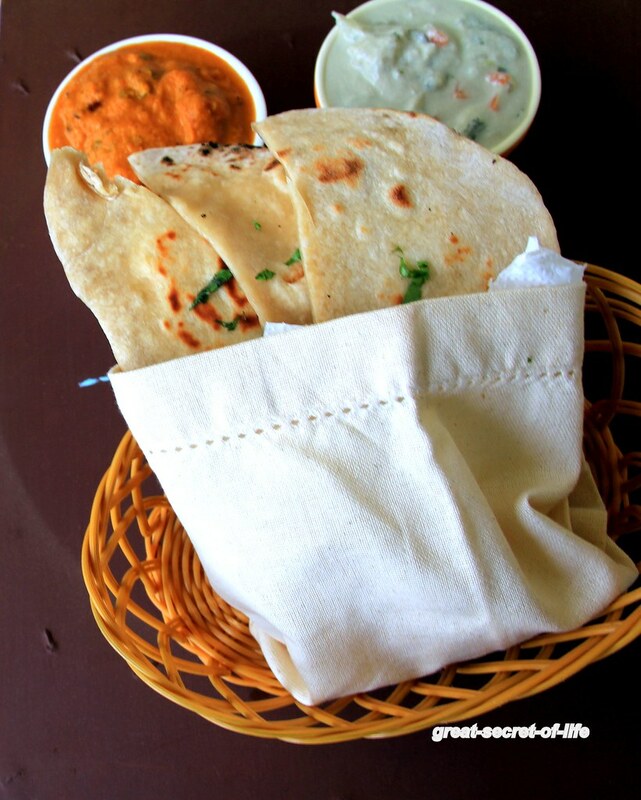 I love all sorts of Indian flatbread! These look fantastic.